One boyfriend surprised his lucky lady by popping the question in front of their closest family and friends in a proposal nearly a lifetime in the making. 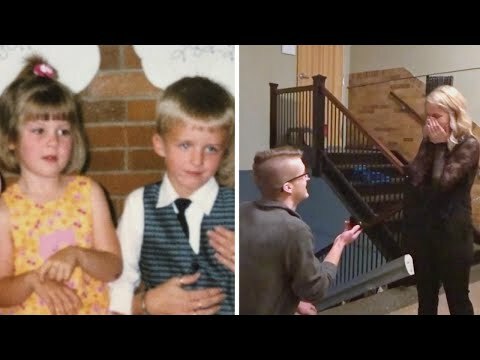 Emma and Andrew, who goes by A.J., knew they were perfect for each other because they’ve known each other since they were in preschool. Sixteen years later, they both ended up attending Indiana’s Vincennes University by chance. While hanging out with a mutual friend, they put two and two together, and figured out their history.